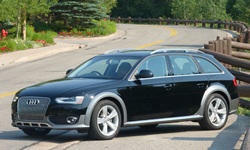 Ten-Year Veteran	 Allroad gets special grille with vertical chrome bars. Ten-Year Veteran	 Considerably less cargo space than in a Volvo XC70, but plenty for most needs. Ten-Year Veteran	 Don't care for the gray cladding? Audi will paint it body color for $1,000. Ten-Year Veteran	 Less boxy rear end than with a Volvo contributes to middling cargo volume. Ten-Year Veteran	 Typically tasteful Audi. "Layered oak wood inlays" are an $850 option. 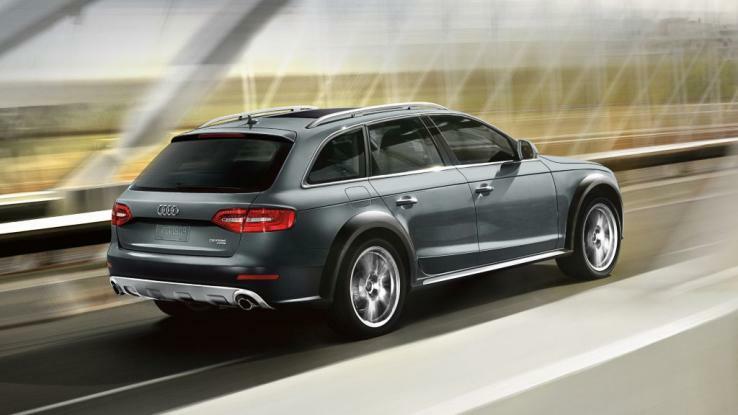 Ten-Year Veteran	 Chrome grille, stainless steel "skid plate," and gray cladding distinguish allroad from A4.